Trump responded to Barbara Bush's criticism detailed in a new book. Home Today News Trump responded to Barbara Bush’s criticism detailed in a new book. President Donald Trump responded to former first lady Barbara Bush’s negative opinion of him, detailed in a newly released book about the late matriarch of the Bush family, saying her criticism was because of what he’d done to her sons. “I have heard that she was nasty to me, but she should be. Look what I did to her sons,” Trump told the Washington Times in an exclusive interview published Thursday. 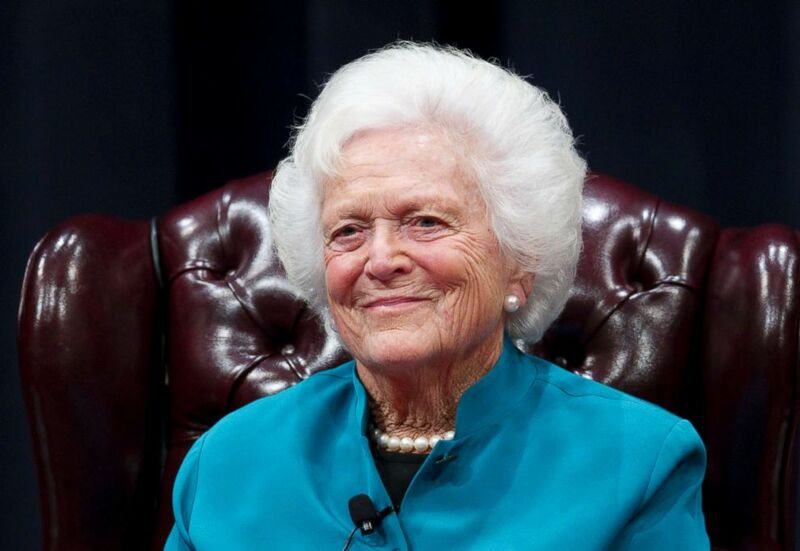 Bush, wife to one president and mother of another president, died in late April at age 92 and her husband, former President George H.W. Bush, died just months later in November. Trump was not invited to attend either funeral. In 2016, her second son, former Florida Gov. Jeb Bush, mounted a run for the Republican presidential nomination and was nicknamed him “low energy Jeb” by Trump. Trump also frequently criticized her eldest son on the campaign trail, former President George W. Bush. Bush’s feelings for Trump, as revealed in “The Matriarch: Barbara Bush and the Making of a Dynasty,” by Susan Page, showed that Bush disliked Trump well before the 2016 election, though they deepened during the race. (Robert Daemmrich/Corbis via Getty Images) Former U.S. First Lady Barbara Bush discusses her White House experience during a day-long symposium titled “America’s First Ladies-An Enduring Legacy” at the George Bush Presidential Library Center at Texas A&M, Nov. 14, 2011. “Trump now means greed, selfishness and ugly. So sad,” Bush wrote about Trump back in 1990, according to the book, which was written based on the former first lady’s diaries. Bush also said Trump’s politics caused her angst to the point of heart troubles, according to the book, and pushed her away from Republican party, which she refrained from embracing in her last months of life. She reportedly kept a red, white and blue clock on her bedside table that counted down the days left in Trump’s presidency. Weeks ago, Trump also criticized another political opponent who has died and no longer around to hit back— the late Sen. John McCain, who died of brain cancer last year — because of his vote against Trump’s efforts to repeal the Affordable Care Act.